Bartacks and Singletrack: Merry Christmas fellow sewers! I've really enjoyed having my blog this year and sharing what I make with a little more detail than Flickr allows. Most of all I love reading comments, clicking on people's profiles, reading your blogs and feeling like part of one, big happy stitching community. I couldn't leave my daughter out when it came to handmade Christmas gifts and why not tick off one more project from the Little Things To Sew book. It's wonderful seeing the Flickr pool fill up with projects and I'll be crunching some stats and rounding up some pictures as soon as the dust settles on this silly season. It's so beautiful... I'm sure your daughter adores it. I didn't make anything for my kids this year, except for little lavender bags to put under their pillows (in the hope that they might make them sleep more), Hope you and your family are having a lovely Christmas! Sounds like a worthwhile project if it worked! Best wishes for the New Year with peaceful bedtimes all 365 days! Merry Christmas, Shelley! Looks like you and your husband had a wonderful time in Mexico. 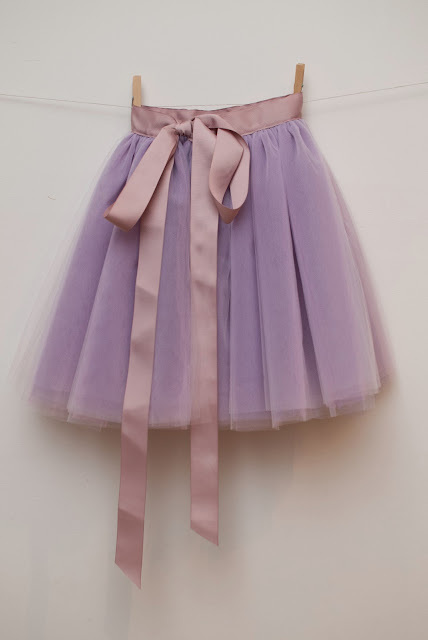 :) The tutu is adorable...I hope your daughter loves it! Oh Mexico was brilliant, thank you. I've been completely trumped by my parents and a shop bought fairy costume. My tutu hasn't even been tried on! This came out beautiful! I've always wanted to make one for my daughter! You've inspired me to move it back up the list! Merry Christmas! This is so pretty, I'm sure your daughter felt like a ballerina in it! Thank you. My sister in law tried it on a did a little bit of the Sugar plum fairy dance to make me feel better about A not wearing it, and then my nephew who's three did some beat box dancing in it. Bless them both for trying. i love this tutu so much. the color of the ribbon was a superb choice! and purple is my daughter's favorite color. i love it! Thanks Rachel. I was delighted when A chose the ribbon as I was desperately trying not to let her see the really lurid ones. I added the purple tinge cause she's in love with purple at the moment. How (with 4 girls) have I NOT made this? Thanks Nicole. If Tildy is anything like a 21-22" waist this could find it's way to you. A simply will not wear it! This is beautiful!! She won't wear it??!!! ARGH, that is so sad!